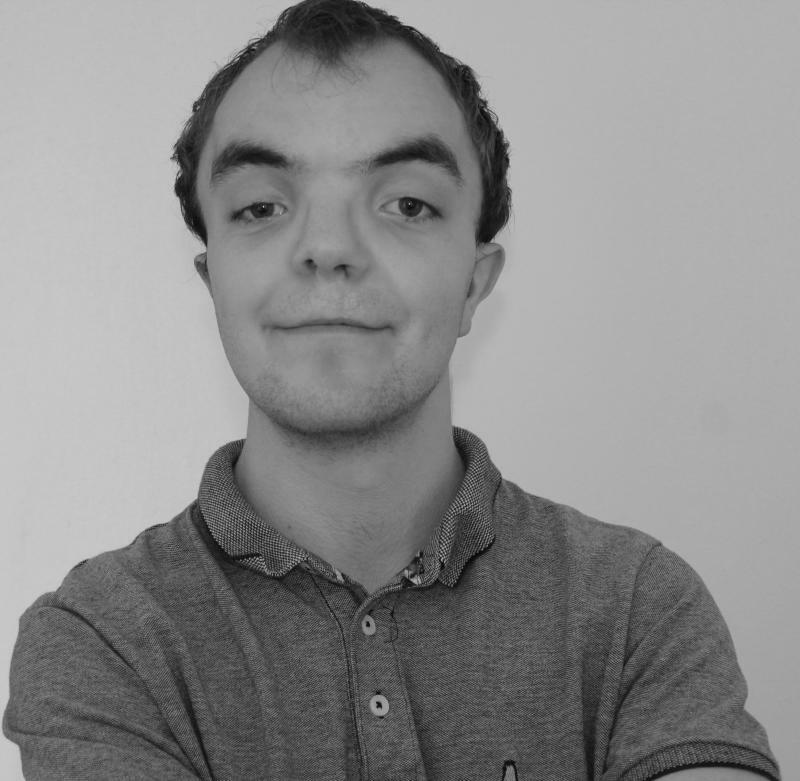 I'm Callum a 22-year old actor based in Sleaford in Lincolnshire. Where should I start, well from the beginning. Theatre has always been in my blood and from a young age, I attended The Theatre Royal School of Performing arts in which I acted, danced and sung my way through many school shows which were performed at Lincoln Theatre Royal. I also got the chance to sing with Alvin Stardust during his Christmas Show at Lincoln Theatre Royal. After I left the school I had a short break away from theatre to focus on my education but as always the feeling to carry on acting came back and so I became part of the local amateur dramatics society at Sleaford Little Theatre which has a fully working professional theatre as their base. From there I have taken many acting roles and also backstage roles, from lighting and sound to being stage crew working backstage and moving set around. In my downtime, I love making Youtube Videos and also building websites and of course working on my acting skills. I like to think of myself as quite fit as being stage crew can be hard work and having a good fitness level is something I rely on. I am also a drummer at a grade 6 level and I love anything musical including most genres of music. So in brief that's me. I performed as part of the Theatre Royal School of Performing Arts aka Trspa school which was based in Lincolnshire. This allows me to act, dance and sing my way through many different shows across the 5-6 years I was there. I performed many different acting roles from being the King in Chitty Chitty Bang Bang to being the guard of the Cave in Aladdin. All TRSPA shows were performed over 2 nights at the Lincoln Theatre Royal. In 2014 I performed in the local amateur dramatics Sleaford Little Theatre production of 39 steps at Sleaford Playhouse, in this, I played a Paperboy, Detective Chief Inspector Albright and also some background audience members. In 2015 I performed I a more major role as Raymond the nasty nephew in Queen Elizabeth Slept here. This was also with Sleaford Little Theatre and was by most challenging role to date. In 2016 I got the fabulous role of Harry Robinson in the hit comedy "The Ladykillers". Performed at Sleaford Little Theatre this was a very challenging role as I had to perfect a cockney accent to which I achieved plus take pills and clean the stage through the performance, plus I got through 2 very fast costume changes. This also improved my physical comedy, comedy timing and characterisation skills. Later on, in 2016 I got to play Ben Gunn and Job Anderson in Treasure Island. This was a massive play with a large cast a small theatre and extremely technical. While playing Job Anderson was a good role he did drown at the end of act 1, cue line milking and with that was a hair and makeup transformation into Ben Gunn. Not only was Ben Gunn a scrawny cabin boy he also had quite a beard which was stuck on during the interval of every performance. Ben Gunn was quite literally out of his mind and had the biggest desire for cheese, his lines didn't allow for breathing and in short, the character description was mad. So although it seemed like a nightmare Ben Gunn was actually great fun to play and even with the beard I would play Ben Gunn again. Many comments and mentions in reviews showed that the character I hope was loved by the audience, one member of the public even described the performance "it was like watching a young Spike Milligan". May 2017 I played a role for Father Mike in A Fete Worse Than Death by Richard James, performed by Heckington Players. A fun role with plenty of comedy, my character had the audience laughing at every point. Comments about my performance were made included "perfect comedy timing". September 2017 saw me play 2 parts in one month, challenging but fun. Both plays written by the same author but the parts could not have been different. I played Roy Steadman in hall be So by Norman Robbins and then Melyvn in Wedding of the year again by Norman Robbins. Roy was a 50-year-old prison convict and garden holding many secrets to a murder which happened 4 years ago and Melvyn who was a mad 20 something-year-old who had some of the best comedy moments in the show. Comments have been made about me playing Melvyn which included "The part was written for you", "livened up the show", "the comedy timing was amazing" plus many more. Both shows also got me mentioned by NODA when they came to review each play. May 2018 I played 2 roles in 2 different one-act plays, the first Pastiche. I played a dying soldier on stage which involved various long text of mad speech and also emotional scenes with the nurse. The second I playied a Butlter who tried to stop his boss having an affair, he did this through various quick changes of a Policeman, a Romanian gypsy, and an old man. I had great feedback for both shows, from audiences crying with sadness to crying with laughter. December saw me acting in my first ever pantomime, Jack and the Beanstalk. I played Scarper in a comedy double act which invoked audience interaction, slapstick and also a comedy song. Audience comments, very funny, laughed every time they came on and brilliant performance.